Hold on—this review isn’t up to date! Charter purchased Time Warner Cable and Bright House Networks, and now it uses the brand name Spectrum. 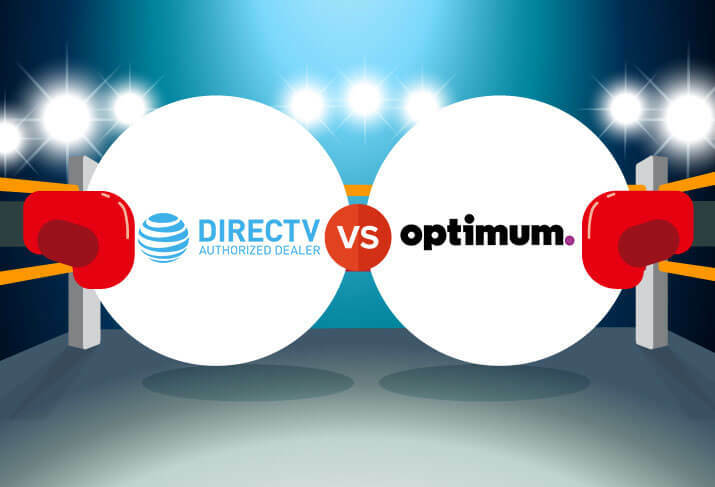 To learn how Spectrum matches up against DISH, read our article on Spectrum vs. DISH instead. You know what you want. Great, reliable TV with plenty of choice and flexibility for an affordable price. The hard part is figuring out which provider can deliver on those expectations. That’s where the team at CableTV.com can help. Should you choose Charter Spectrum or DISH as your TV service provider? Charter Communications recently merged with Time Warner Cable to become the second-largest cable operator in the U.S., serving over 25 million customers in 41 states. They deliver TV, internet, phone, and home security services through a traditional, coaxial-cable network that’s widely available in the Northeast, South, and Pacific Northwest regions. DISH Network is a satellite TV company that serves over 14 million customers and is available across the United States anywhere customers can get an unobstructed view of the sky. DISH also offers satellite and DSL internet service, primarily in rural areas where cable or fiber is not available. 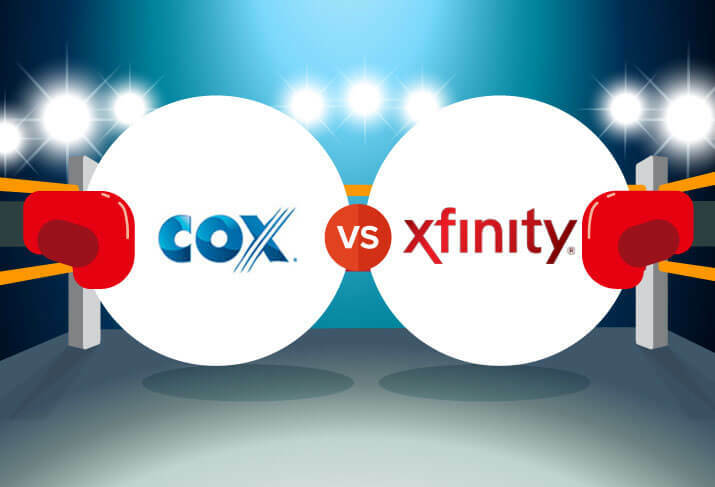 As we look at side-by-side comparisons of these two providers, keep in mind that this is also a comparison of two different types of service. Cable technology varies from satellite in that it offers superior speeds, but it’s not widely available in rural areas. Satellite has the advantage of being accessible to anyone who can mount a dish on their home, garage, RV, or rolling hot dog stand.Your choice will depend on which type of service works well for your household as well as availability in your service area. Find providers in your area with our zip code finder. While Charter boasts of a two-hour appointment window, their satisfaction ratings flounder in this area compared to DISH. There is an inexpensive installation fee for TV only service, but Charter does wave it for their bundles. It’s evident that installation is an area DISH shines in. With promises like next day service and free (yes, we said FREE) installation for up to six rooms, DISH is winning over customers from the competition. Their excellent reputation for customer service doesn’t hurt either. Charter says they offer the most HD channels of any other provider. Believe it or not, this is absolutely true. When you start looking at specific packages though, compared to how many channels you get at the same price point from other providers, you’ll find less value overall. With up to 330 channels in their top-tier packages, DISH can pack a lot of value into one affordable price. Just keep in mind that if you bundle your services with DISH, you’ll have to put up with a slower internet. Charter should have a leg up in this category as a cable provider, but they’re haunted by a reputation for poor reliability that dates back almost a decade. While the company is fairly efficient and steady now, they’ve failed to banish this ghost of their past transgressions. Let’s be clear. If snowpocalypse descends, you’re going to have a problem with your signal. If you live in a location where that’s a frequent concern, satellite may not be a good option for you. DISH is doing a great job on many fronts, but they aren’t in control of the weather. Not yet, anyway. Oh, boy. Yes, that rating has to hurt. Charter has earned it through a long, troubled history of steep price increases and hidden fees. Their incredibly affordable bundles do present a terrific value, but the company’s approach to billing could benefit from more transparency. DISH does make you sign on the dotted line, but at least you know what you’re paying for. With a two-year price guarantee, DISH leads the competition in satisfaction in this category. Customers agree that they are getting plenty of bang for their buck. Charter comes in at the bottom of the barrel in customer service satisfaction, but this rating is actually an improvement over last year’s performance in our survey. The company has made some key changes that have netted efficiency and better responsiveness for customers that should help them improve in this area. DISH earns fairly high marks for their customer service, with a reputation for courteous, helpful agents that are available 24/7. Their free installation is a huge customer service plus, and although their website can be a bit confusing to navigate, the customer support pages are very helpful. As a satellite TV company, DISH doesn’t offer its own internet options. But that doesn’t mean you can’t find internet options to pair with your DISH service. 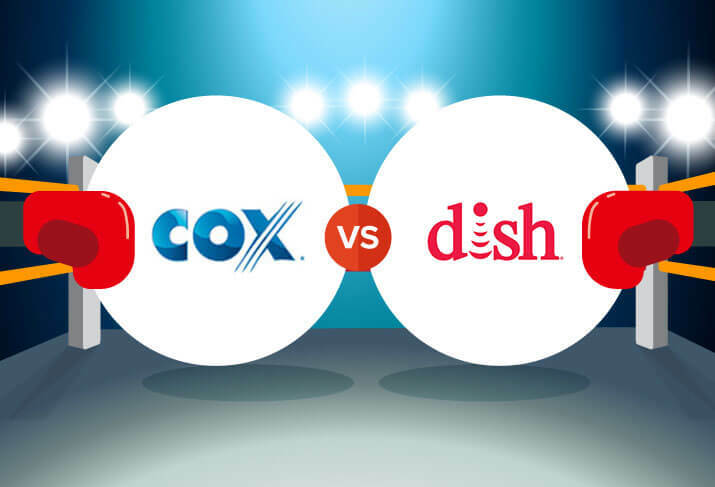 Check your local internet providers to see if any offer bundles with DISH. If Frontier is available in your area, that’s a good place to start. Choose Charter for no contracts, more HD channels, affordable bundles, and faster internet speeds. Charter has come a long way in the past few years, turning around a financial scandal and a bad customer service reputation to become one of the largest cable providers in the United States. Their Spectrum TV leads the industry with 200 HD channels and a library bursting with on-demand programming. Bundling services with Charter can provide a tremendous value, especially if you’re looking for reasonably fast, cheaply-priced internet. There is, however, plenty of room for improvement. Charter’s DVR equipment lacks the storage and features that are considered standard in the industry. They also have failed to satisfy customers when it comes to billing, customer service, and technical support. As Charter expands their service area in the next few years, they’ll need to stay focused on excellence to avoid customer frustration and fallout. Choose DISH for better value in TV channels, superior equipment, and excellence in customer service. It’s easy to see why DISH bills itself as a leader in customer satisfaction. Their TV packages are a terrific value and they’ve recently added DSL high-speed internet to some areas, enabling affordable bundled services. You will have to sign a two-year contract, but DISH ensures you’ll be able to anticipate your costs with a price-lock guarantee. It’s also hard not fall in love a little with the Hopper 3’s vastly superior capacity and features. But if you live in a region that experiences frequent weather-related outages and you aren’t excited about the idea of wrestling with your ladder to get reception, then DISH may not be the best choice. If you’d like to learn more about Charter or DISH, please see our in-depth editorial provider reviews. They give a detailed look at each company’s services and history along with areas of concern, summaries of equipment, installation processes, fees, billing issues, package details, and much, much more. Want to see the complete data and ratings for TV providers? Check out the full run-down from CableTV.com’s 2016 Provider Customer Satisfaction Survey here.